The 1968 Chevelle had two different dual exhaust system when GM outfitted these muscle cars. The small block dual exhaust cars received 2 1/2″ head pipes and 2″ tail pipes GM accomplished this by swaging down the head pipes to 2″ The 1968 SS with the big 396 used 2 1/2″ head pipes and 2 1/4″ tail pipes that ended at the back of the car and pointed down and out.. Our exhaust system kits on all applications come with the correct head pipes with wrinkles and flats and correct tail pipes with wrinkles and double angle cut. 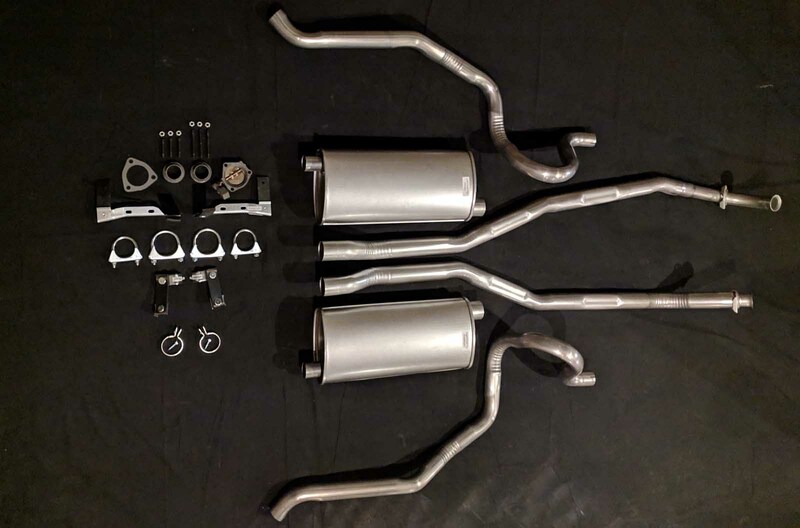 The kit will also include correct mufflers logo deleted, correct muffler hangers, clamps, screws, installation instructions, diagrams and sealant. tail pipe hangers are available as well as retainers and strap clamps for reproduction authenticity. Ask about our concourse package to bump up to corded rubber zinc plated hangers, ss clamps, ceramic coated flanges, retainers and strap clamps. 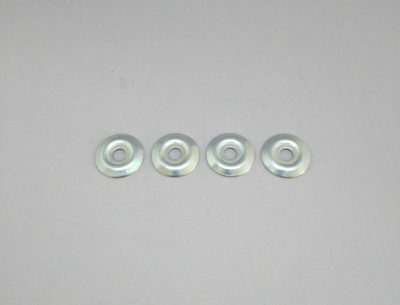 Or pull out all the stops and have us hand build you button head riveted hangers. 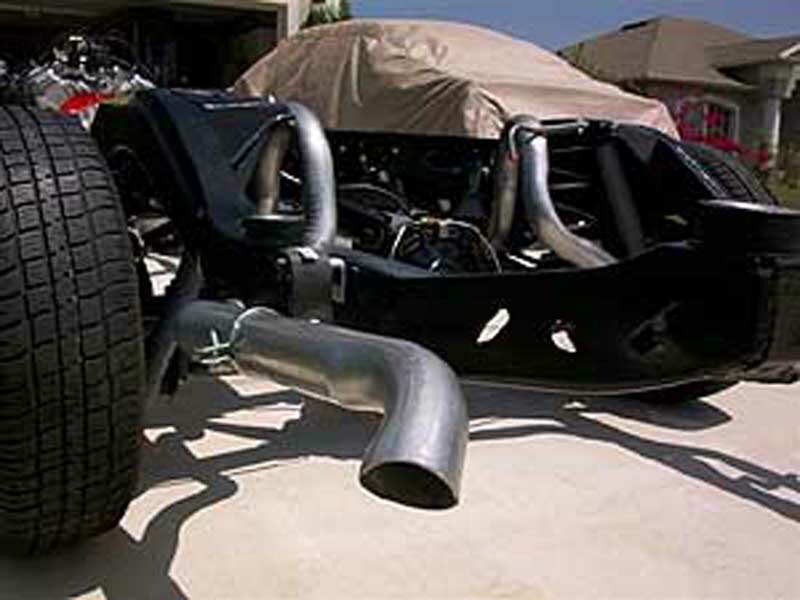 Ask About Our Turbo Mufflers for a little Extra Roar! 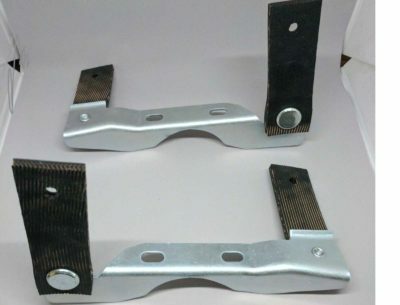 These hangers are correct for 1968-1972 GM A-Body Exhaust Systems.For the longest time the only hangers available were actually for the 1964 - 1967 GM A body's. Alltough th hangers look extemely similar and will work just fine That is not good enough for Gardner. The hangers you see here are identilcle reprodutions of the unique 1968 to 1972 GM A body hangers. 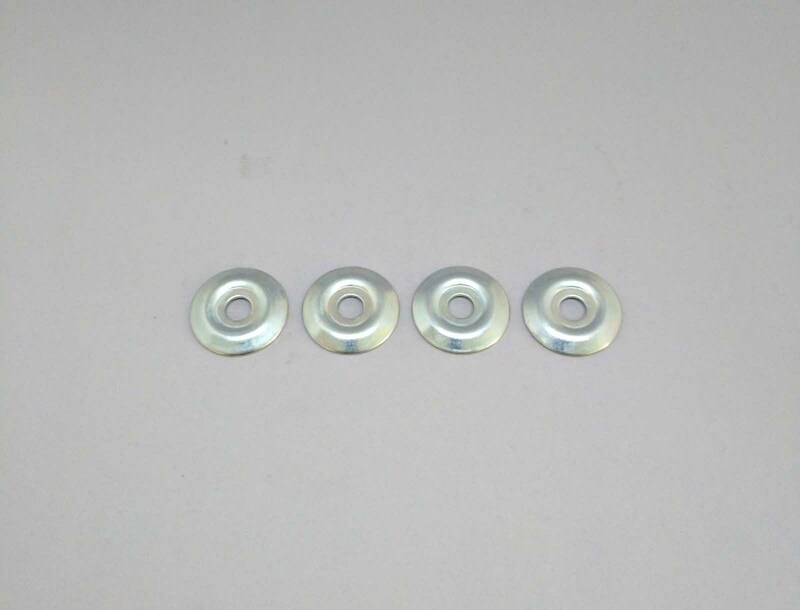 They have been painstakenly reproduced from our originals and come zinc plated hand built with lthe correct corded rubbers and button head rivets, zinc plated retainers and correct screws. 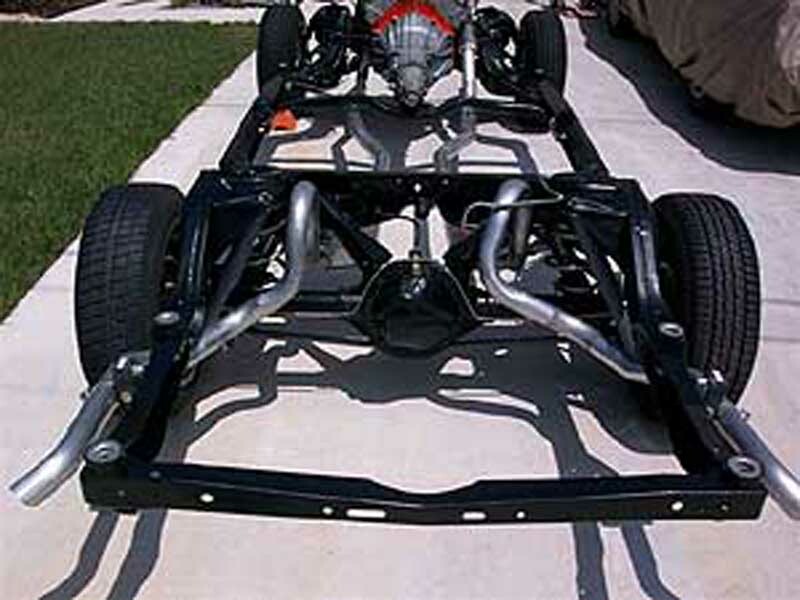 They come standard with our 1968-1972 GM A body exhaust systems with the concourse package and are a Gardner Exclusive reproduction. 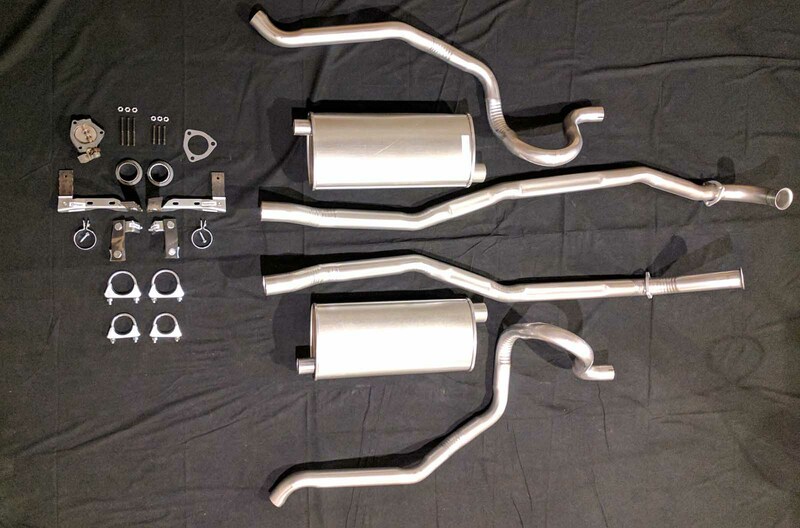 The 1968 Chevelle Tail Pipe hangers are another Gardner Exhaust Exclusive Reproduction. This hanger has long been unavailable for the enthusiast who has to have his car the way it came from the factory. It is similar to a GM A body tail hanger however, for some reason it makes use of only one strap. Our hangers are reproduced from the original pictured here and come hand built zinc plated with corded rubbers, button head rivets and attaching hardware. 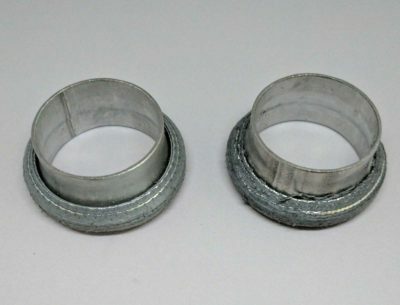 These retainers were used on the GM A - Body Muscle cars on the muffler hangers. The attaching screw first went through this reatiner and then through the rubber. 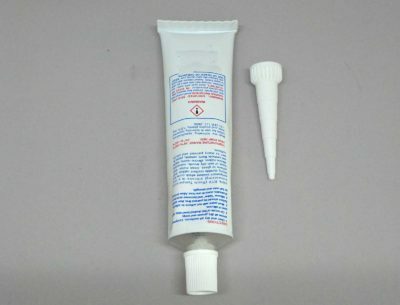 The reatainer functioned as a washer to protect the rubber on the hanger. 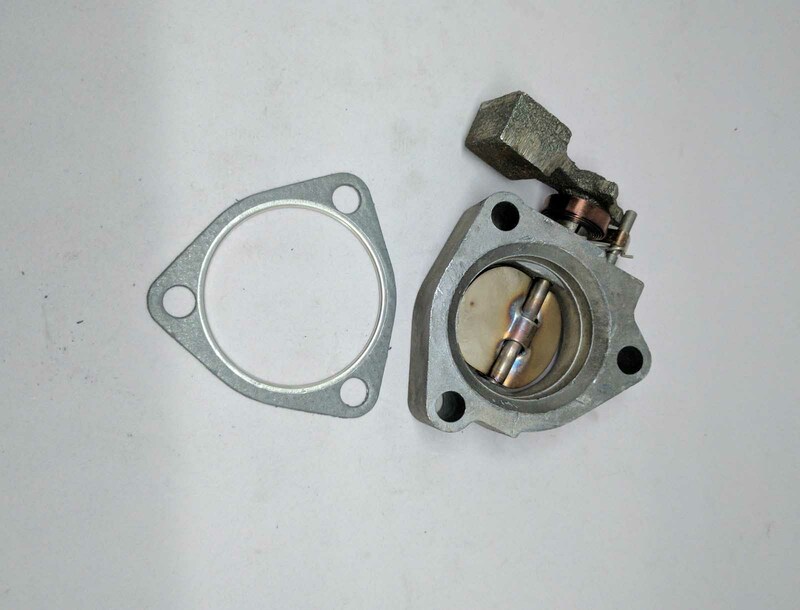 Our retainers have been reproduced from the orginal in the picture and come zinc plated. 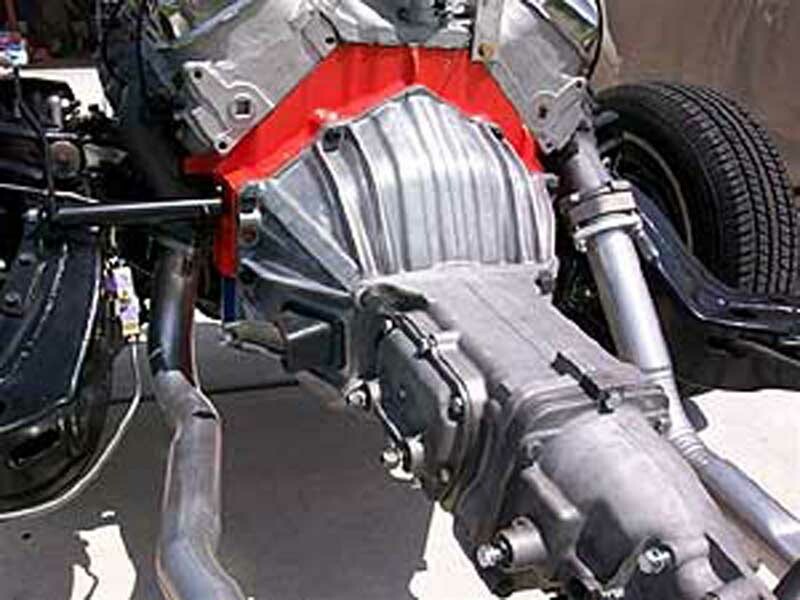 They are a Gardner EXhaust exclusive reproduction and come standard with our concours show pkg. or can be optioned for with one of our entire systems. 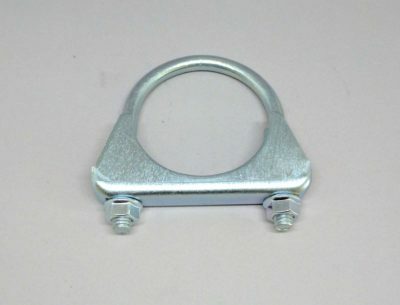 This strap clamp was used on many of the GM - A Body Muscle Cars. It was used to attach the tail pipes to the tail pipe hangers. 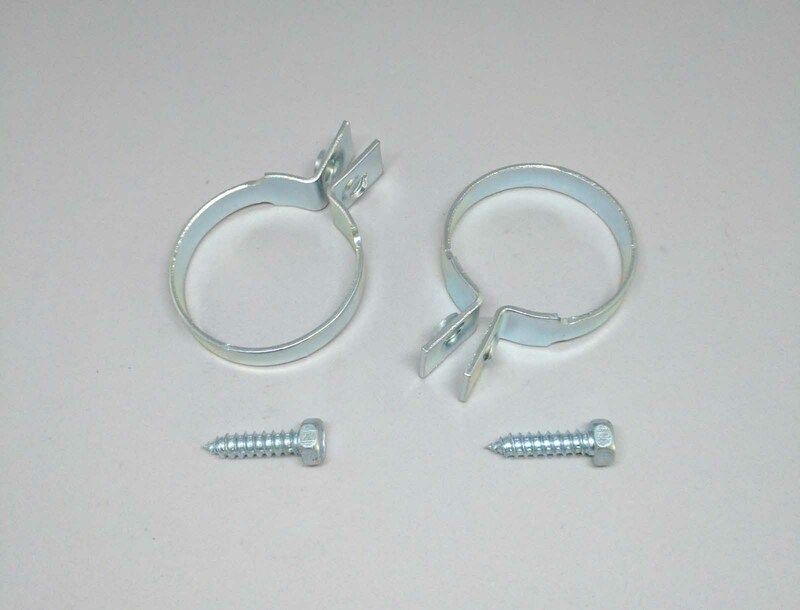 Our strap clamps have been reproduced from the orginal shown here and come zinc plated with the correct sheet metal screw. They come standard with our concours show pkg. or can be optioned with one of our entire systems. This is the correct style clamp used on the 1965-1972 Chevelles. They are available in multiple sizes and come either raw steel or zinc plated when our concours show pkg. is ordered. This is the correct small block heat riser for the 1961-1974 Small BlockChevys. They come with the correct chevy big block gasket and are available with any of our Chevy big block exhaust systems. 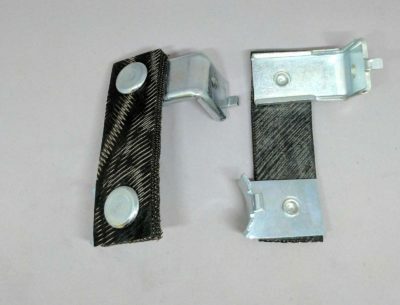 This is the correct Big Block Heat Riser for the 1965-1971 Chevy's. 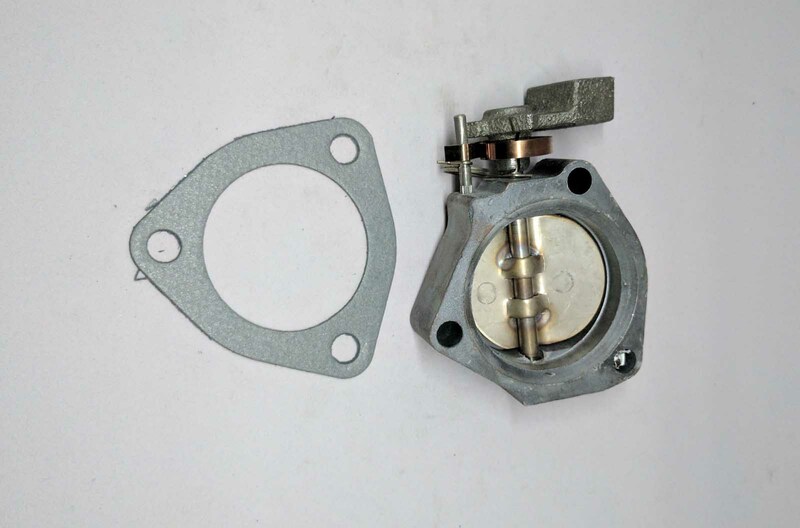 It is an option with any of our Chevy systems and comes with the correct gasket. 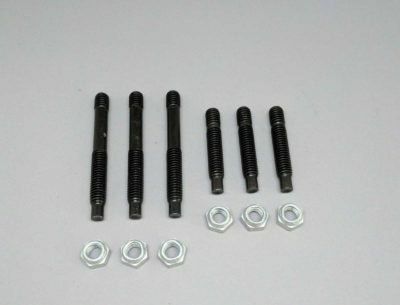 This is the correct stud kit for the 1957-1972 Chevys. 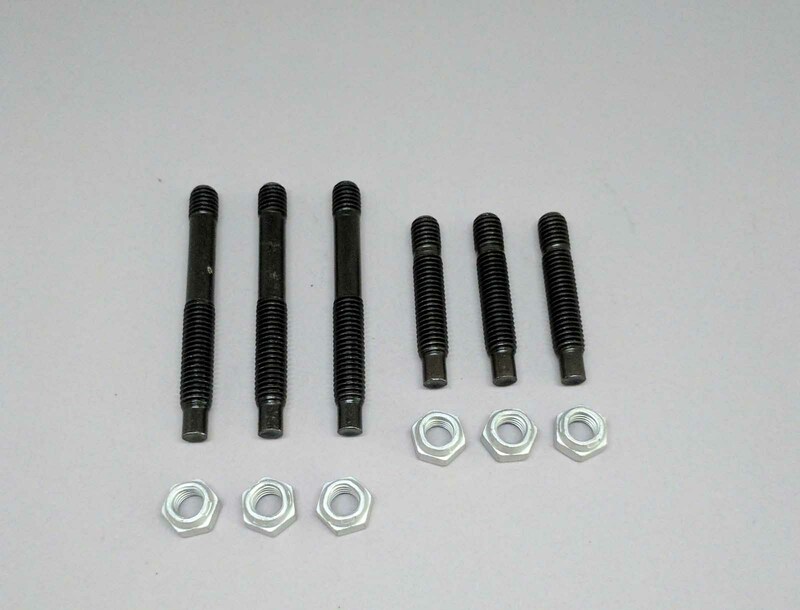 This stud kit has the correct dog point on the studs and uses the correct stove nuts as original. This kit is available with any of our Chevy systems.